You could be one of these students. 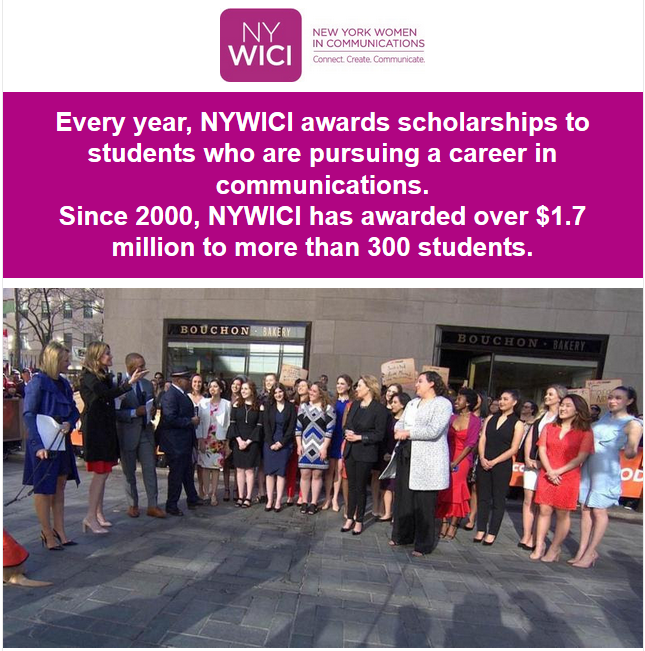 Each year, New York Women in Communications — a 501(c)(3) — awards scholarships to graduating high school seniors and undergraduate and graduate students who intend to pursue or further a career in communications. NYWICI cultivates leaders in our field by providing financial support, opportunities for professional development and mentoring, and entrée to a diverse community of communications professionals. We are the largest foundation for women’s communications scholarships in the U.S.